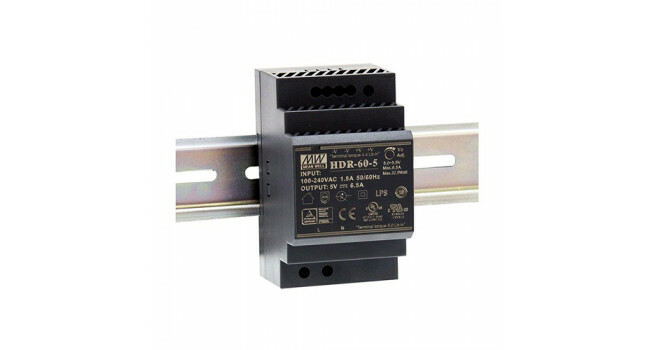 The HDR-60 is an economical ultra slim 60W DIN rail power supply series. The body is designed 52.5mm (3SU) in width, which allows space saving inside the cabinets. The HDR-60 has a working efficiency up to 91% and can operate at the ambient temperature between -30oC ~ 70oC under air convection. The unit is equiped with constant current mode for overload prootection. 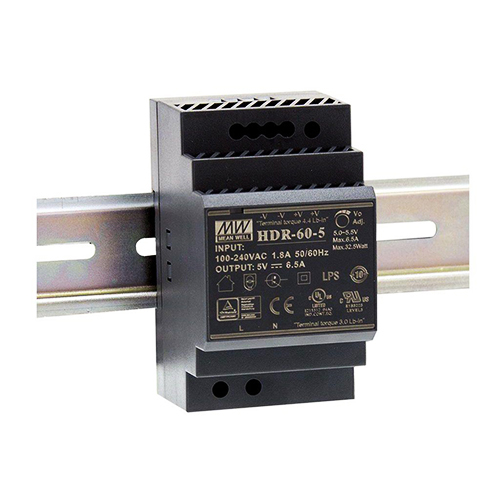 The HDR is a very competitive power solution for household and industrial applications. Wave 10" Display with Resistive Touch - HDMI & Direct Pi Interface This is a beautiful bright 10.1" TFT display with resistive Touch and great angle-visibility. The display can be driven with d..
Coupler Shaft Flexible 5mm x 8mm These couplers are made of machined aluminum and have a spiral cut that makes them slightly flexible so they can be fit to two shafts even if they are not perfectly..
Bluetooth Audio Module XS3868 is a highly integrated, low cost, low power Bluetooth stereo sound audio modules comply with Bluetooth 2.0 specification. Support A2DP V1.2, AVRCO V1.4 profiles, integ..
Nano Ethernet Shield This Nano Ethernet Shield allows you to connect the Arduino Nano to a network. It is assembled with long stackable pin headers. The Nano Ethernet Shield is based on the ENC28J.. Float Switch - Water Level Sensor A float switch is a device used to sense the level of liquid within a tank, it may actuate a pump, an indicator, an alarm, or other device. Use them with hydroponic..